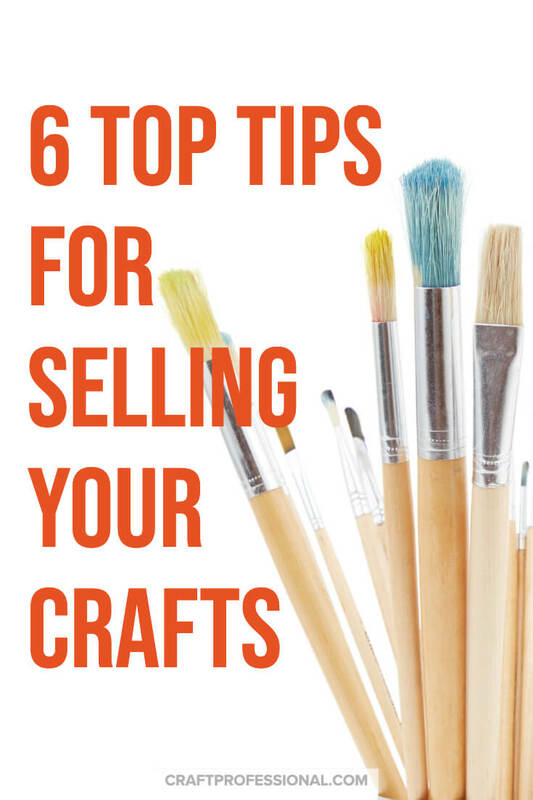 6 of the best craft business tips popular on this site to help you start selling your handmade products and turn your hobby into a business. Launching a creative business can be a bit overwhelming. It doesn't take much research to discover there really is a lot to know and a lot of choices to make. With that in mind, I want to share with you some of the most popular articles and tips on this site to give you a helpful starting point. The six articles below are some of my readers' favorite and most popular craft business tips. There are a huge number of ways to build a creative business using your craft-related skills. Years ago, when I launched my own creative business, options were limited. 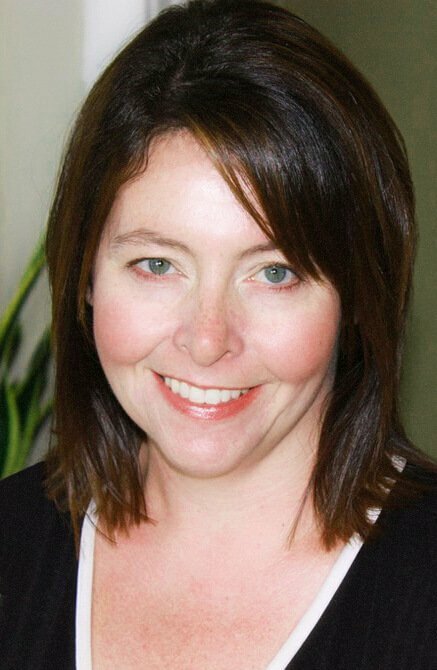 You could sell at shows, home parties, or develop consignment or wholesale relationships with shop owners. Online sales were an option but still fairly limited. Your options today are varied and exciting. Before you dive into a particular business model, you owe it to yourself and your business to think about the many ways you can earn income with your craft-related skills. Craft Display Booth Ideas - 1000+ Photos! I remember, years ago, trying to figure out how to design a craft booth. Those 10x10 displays seemed completely mysterious to me. The designer I worked with to create my first business logo and marketing materials had booth design ideas that sounded beautiful, but also extremely pricey. I just didn't have the budget for that, so I knew I had to be strategic, creative and DIY as much as possible to get what I wanted on a budget. How do you show your work at its best? How to you fit everything into that tiny space? What kind of display furniture do craft artists use? How do you light up a craft booth? How do you secure everything so it's safe? How do you make sure everything is portable and easy to set up and tear down? How do you make all of this happen and still stay within a budget? It would have been so much easier to answer those questions for myself if I had been able to look at a bunch of great craft booths from the comfort of my home instead of going to shows, and trying to take notes and remember everything I saw. That's why I've published a mountain of craft booth photos on this site. In fact, these photos are probably the largest collection of original craft booth photos online. There's more than 1000 display photos, and I'm always adding more. 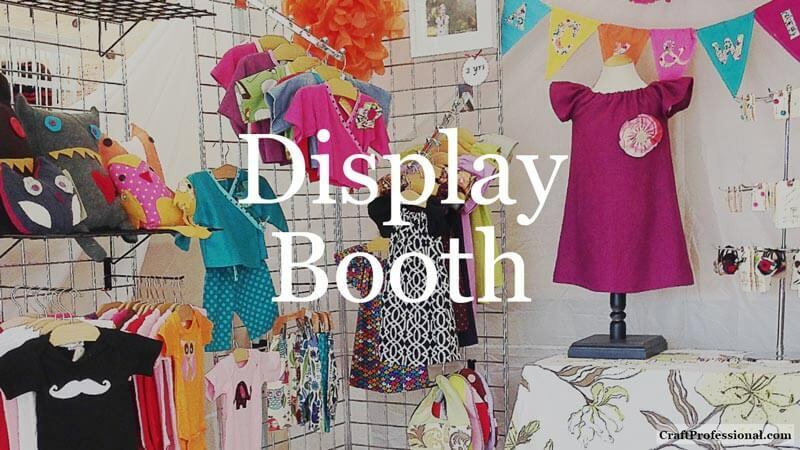 If you're designing a brand new craft booth, or you want to improve on your current booth, you can find inspiration in these beautiful booths. You'll find links to all of the pages with booth photos here. 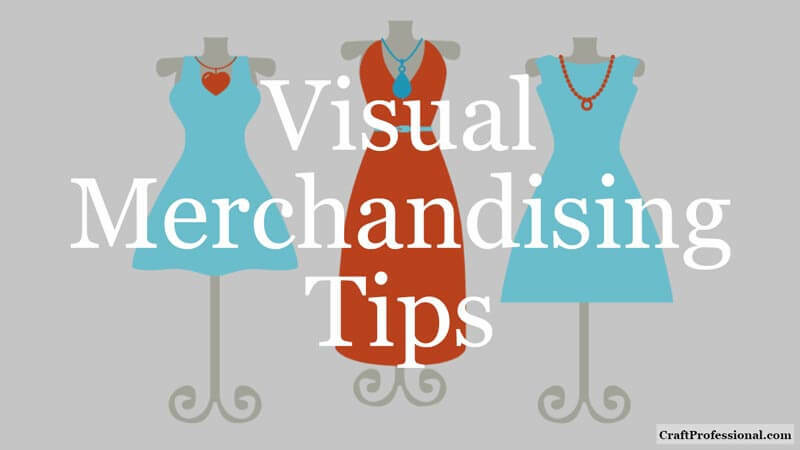 In the course of learning as much as I can to help craft business owners display products more effectively, I turned to studying visual merchandising strategies used by retailers. Retailers use display strategies that have been tested and refined to boost sales and profits and highlight the most profitable and impactful products. One big surprise for me was how rarely these merchandising strategies are used in craft show displays. Even makers at the most high-end shows I have attended - people who are at the top of their game - often don't use these techniques. Visual merchandising techniques have been proven to work for other retailers. They are often simple, inexpensive, and translate well to a 10x10 booth space. There's really no reason why someone who sells at craft shows shouldn't give them a try. Once you learn these merchandising techniques, which often involve nothing more than rearranging items a bit, you'll never be able to look at a poorly arranged display in the same way. If you're looking for display strategies that have the potential to boost profits, you can get started here. If you sell at outdoor craft shows, there's no way around it, you must have a way to anchor your craft tent. Most craft tents come with stake-type anchors you can drive into the ground if your tent is set up on grass. However, you won't be able to use those stakes in all situations. If you're set up on cement, tent stakes won't help you. And even if you're set up on grass, some craft show organizers specify that you're not allowed to drive stakes into the ground. If you're selling at outdoor shows, you'll need to buy ready-made tent weights or make you own. 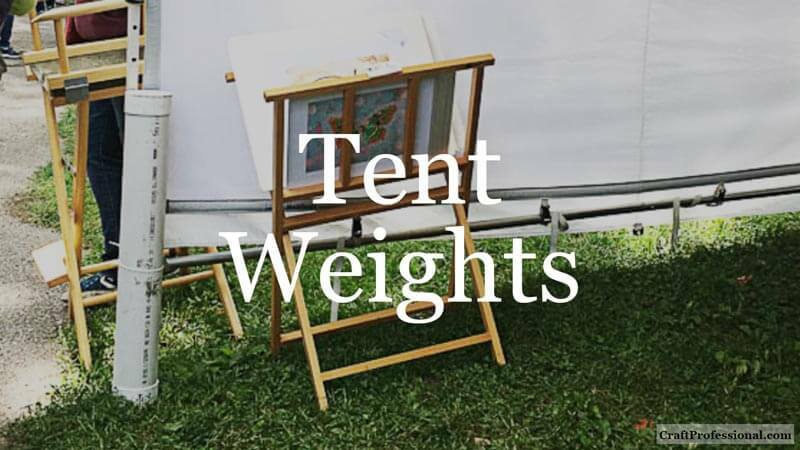 You'll find tips for choosing commercial tent weights or DIYing your own weights right here. How do you even start to make pricing decisions about your crafts? A craft pricing formula isn't going to give you all of the answers you need to your pricing questions. However, it can give you an excellent starting point. 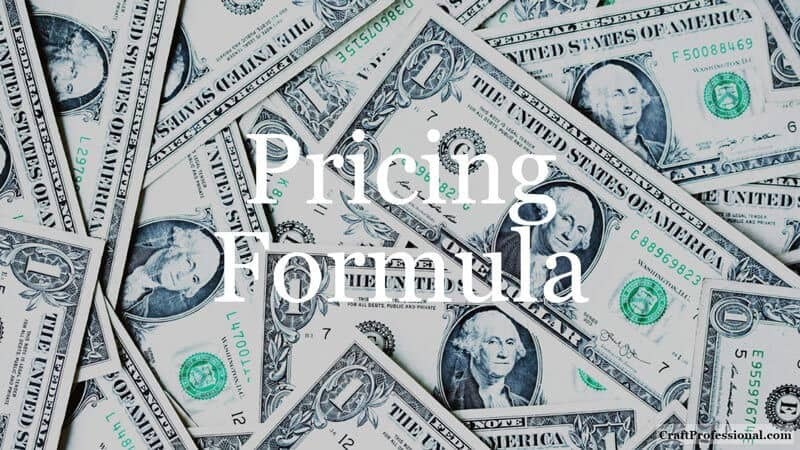 A pricing formula can eliminate some of the emotion from pricing, prevent you from under-valuing your work, and show you what you need to earn, or where you need to make changes to be able to build a business that's profitable. Need a craft tent? Here's a great place to start your research! A craft tent can be one of your bigger expenses when you start selling crafts at shows. You need to find the right balance between buying a sturdy tent that you can depend on to get you through wind, rain, and blazing sun, and choosing a tent that fits within your budget. 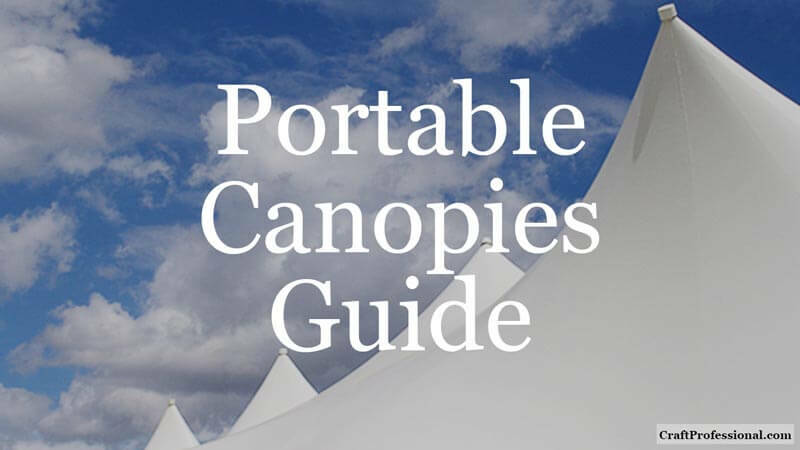 I spent countless hours researching portable canopies for craft shows before I bought my own tent, and I continue to research new tents as manufacturers come out with new models and craft business owners share with me their own favorite portable canopies. You'll find links to all of that information right here. I hope these reader favorites give you a good foundation and answer a lot of the questions you might have about launching a craft business. 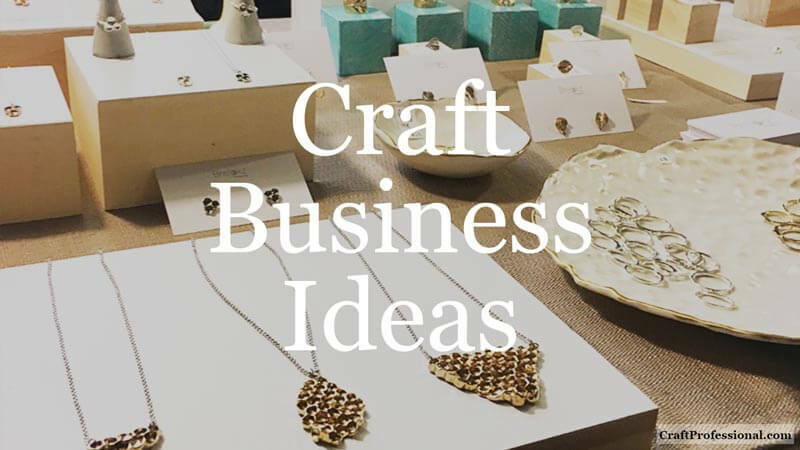 If you want more craft business tips, I'd suggest you check out the Craft Business Challenge, which organizes my posts so you can read them at exactly the time you need the information. As this site grew, I realized there was a need to organize the information in a way that works with the seasonality of craft businesses. Certainly, there are some topics you can address at any time. If you want to start promoting your business on Pinterest, for example, you can do that at any time of the year. However, if you want to apply to craft shows, or studio tours, there's a season for that, and if you miss application deadlines, you'll have to wait a full year for that opportunity to come around again. If you want to take advantage of the lucrative Christmas holiday shopping season, you'll need to plan to be ready for that opportunity well in advance as well. The Craft Business Challenge will help you access the information you need when you need it. You can read each weekly set of articles directly from the challenge page, or you can sign up for my newsletter (below) to get timely information delivered straight to your inbox.